The liturgical poem (Piyut) “Come to Us with Mercy” was composed by the scholar and lyricist, Freha bat Avraham bar Adiva. Freha was born in Morocco in the 18th century, and migrated with her family to Tunis due to the pogroms in Morocco. The pogroms spread to Tunis in the 1750’s, causing Freha’s father and brothers to flee. Freha’s fate is not known. She wrote the piyut “Come to Us with Mercy,” with its chorus “Who at morning time hears my voice” as a private supplication to the Almighty, and a request to bring redemption to the Jewish people. The words of the supplication teach us about the riots against the people of Tunis and of Freha’s hopes to be saved and for the Land of Israel to be freed from Ottoman rule. She describes this hope by praying that Israel would inherit the land from “the hand of Ishmael” (MiYad Yishmaeli). Her request seems a little strange to people of our time, however, in her time – such a request was appropriate. Some have called to slightly alter the words in order to reflect the return of the Jewish people to their land, so that it reads “Immediately – My God will hear” (MiYad – Yishma Eli). In the sixth verse, we learn about Freha’s personal hardship and suffering, when she uses the nickname“Bat Yosef – Daughter of Joseph”, hinting at the biblical name of the Jewish people “House of Joseph”. This is a unique, feminine personification of a people that longs to return to its land, and over the years the nickname “Bat Yosef” became her nom de plume. It is customary to sing the piyut in Sephardic congregations during the High Holidays and in many Masorti congregations in Israel during Rosh Hashanah services. The poem can be found in the Masorti Machzor Pote’ach Sha’ar for the High Holidays. 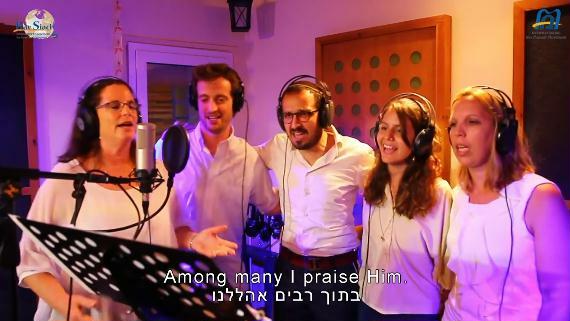 Cantor Saralee Shrell-Fox, a member of Maayanot, a Masorti congregation in Jerusalem, and a cantor at Moreshet Yisrael, composed this beautiful melody for Freha Bat Avraham's piyut together with her son Maayan. It may be that many liturgical poems have been written by women and have disappeared over the generations. Freha’s supplication might only be one example amongst a wealth of poems and feminine creation that was produced in Spain and in North Africa. By re-introducing liturgy written by women into our prayers today, we reclaim a feminine voice that has been lost to us.